We have had nearly a dozen Semipalmated Plovers along the rocky beach on the Transco Trail in DeKorte Park in recent days. Not only are they beautiful little birds, but they don't seem to mind humans much. When we were looking at some shots we took of the little guys this week, we realized that some of the shots actually showed the "semipalmated" part of the plover. 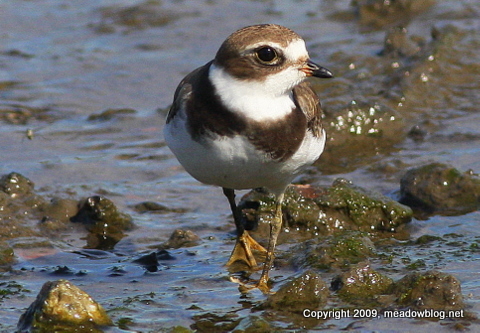 More on Semipalmated Plovers here. 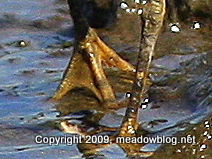 More on the term "semipalmated" here.